D.I.Y. 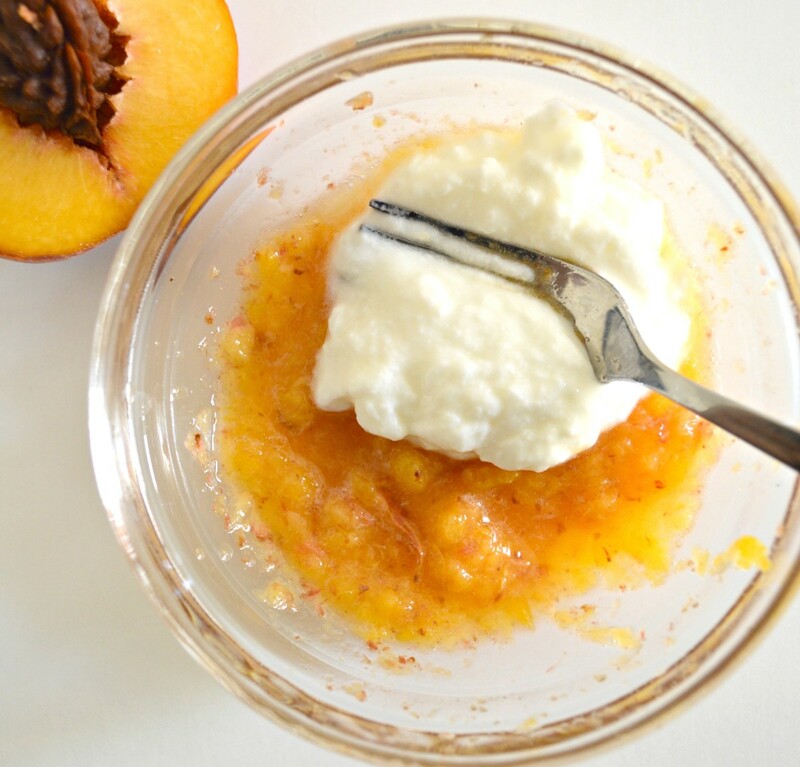 A Peach And Yoghurt Face Mask With Only 2 Ingredients! Buy 5 peaches and eat them all – except for one. Why you ask? Save one to give your face a special peachy treat, of course! We’re all up for applying natures fruit on our skin. Our skin is the largest organ in our bodies and it absorbs everything we put on it. Keeping this in mind, you already know the benefits of peaches for your skin! If you do not know yet, click on this link to read all the amazing benefits of peaches for your skin! We’re calling this the Glow Peach Face Mask because once you wash it off, your skin will literally deel bright, light and glowing. You have to give it a try to see the results yourself! 1. Collect the ingredients you need to make this peach face mask. Get 1/2 a peach and mash it up with a fork. Add plain unsweetened yogurt. Make sure your yogurt is at room temperature. 2. Mash your peach and yogurt together in a small bowl. 3. Don’t make your mask too drippy and not too thick! Don’t add any more yogurt because this will make the face mask drippy. 4. Using a clean face mask applicator brush, or clean finger tips, apply the face mask gently onto your face. Feel free to use up the whole mask by bringing the face mask down to your neck and cleavage area. 5. Leave your face mask on for 10 – 15 minutes and wash off with warm water. Pat your face dry with a clean towel. You’ll be amazed at how fresh and glowing your face looks! If you tried out this mask, please leave a comment below telling us how it worked out for you!